On this day in 1969 Chicago Police Department in collusion with the FBI, assassinated the Chairman. As a way to remember him I have made a downloadable PDF poster available for anyone who wants it. Download it here. “We got to face some facts. That the masses are poor, that the masses belong to what you call the lower class, and when I talk about the masses, I’m talking about the white masses, I’m talking about the black masses, and the brown masses, and the yellow masses, too. We’ve got to face the fact that some people say you fight fire best with fire, but we say you put fire out best with water. We say you don’t fight racism with racism. 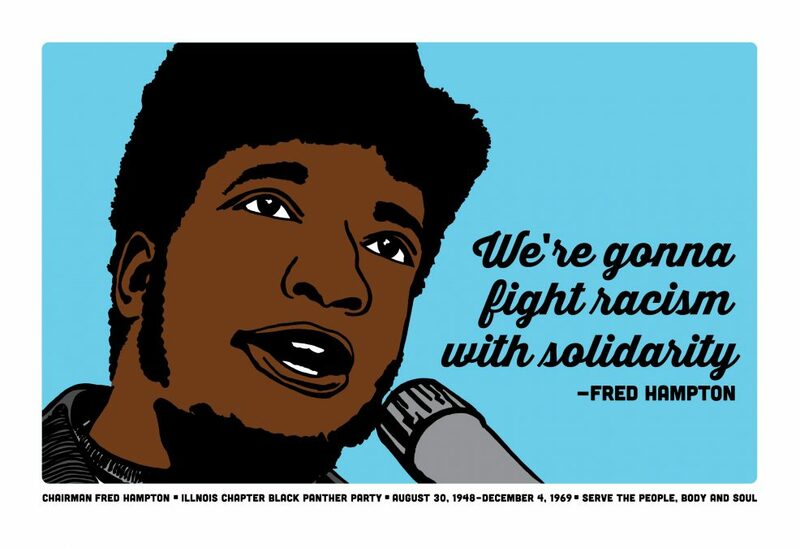 We’re gonna fight racism with solidarity. We say you don’t fight capitalism with no black capitalism; you fight capitalism with socialism.